ROMART Group is specialized in the development and implementation of new creative tools for the promotion of services, companies and brands. Expert in the field of motherhood, childhood and medical marketing, ROMART Group implements social and educational programs in conjunction with state, public and business structures in order to provide quality and accessible information to the target audience on a wide range of socially important issues. We are ready to offer a set of productive actions aimed at creating an effective communication channel with medical staff and target audience of pregnant women, young mothers and parents with children under 7 years old. ROMART Group will help you to implement any ideas in the field of promotion. Lucky Numbers - interactive system for target audience feedback management. 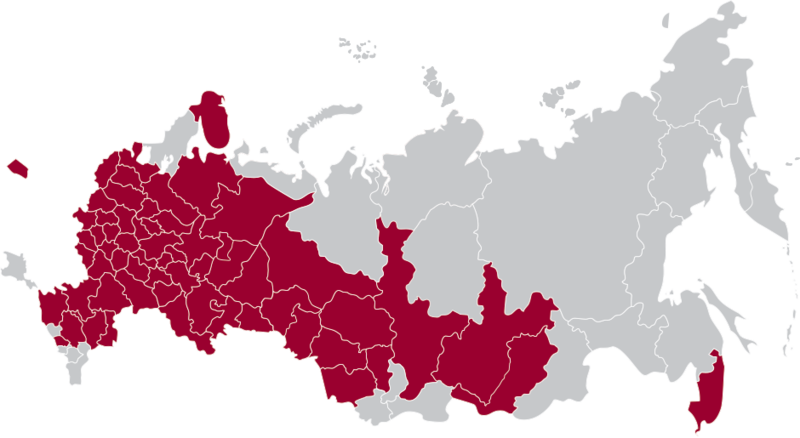 175 children polyclinics in Russian Federation. families with children from 1.5 to 7 years. Targeting advertisement (by age of children, by geography of residence). ROMART GROUP has all competencies, materials and facilities necessary to implement the most non-trivial projects of our clients. Own production and warehouse complex, own office and vehicle fleet, many years of experience, well-established communications and professional team allow us to perform any tasks in agile and timely manner. And the most important thing - we love our job!